I want to take a closer look at planetary atmospheres, how they are built up, how they appear and the possibility for exploring different ways to make them in Maya dynamics. I want to be able to have enough options to explore and to give my project enough complexity. NASA’s Cassini spacecraft is currently orbiting Saturn, its been there for over a decade studying the planet and its moons. 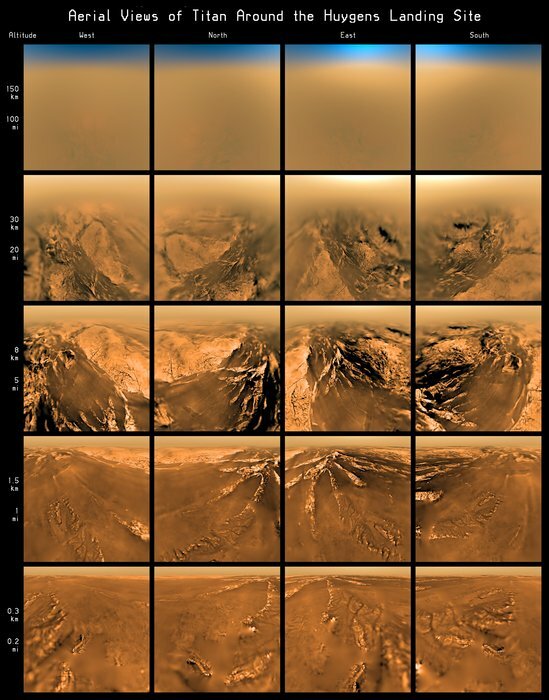 Huygens was a piggyback lander and was sent to Saturn’s Moon Titan just over 10 years ago (Jan 15, 2005). 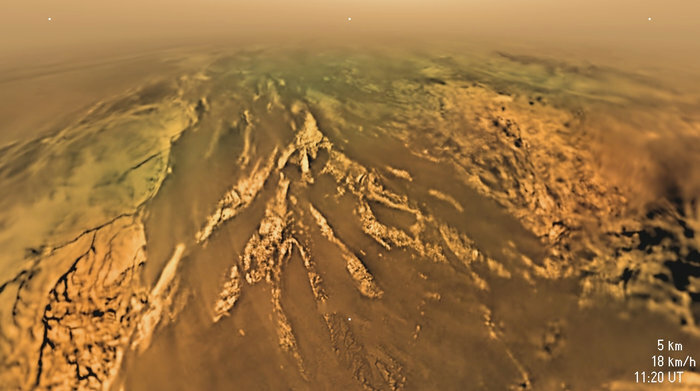 It was the first lander to land on Titan and one of the best opportunities we’ve had and seeing what is underneath Titan’s thick atmosphere. It capture many photos which were compiled into this video which emulates the view as it approached its landing site. The moon Titan has always been very interesting to me. It is the only moon in the Solar System with a thick atmosphere and although smaller than Earth, its atmosphere is denser and air pressure is higher. The atmosphere is made up primarily of nitrogen but is also abundant in methane and hydrogen. I find the following image to be quite interesting as it shows the layers of Titan’s atmosphere. The image below shows polar clouds on Titan (left) compared with polar clouds on Earth (right). I particularly liked the colours in these clouds, it looks very alien for something we see on our planet everyday. That should hopefully be the last science-based post and I’d now like to look at how alien and hostile environments are created in movies to tell a narrative or convey the danger of the environment.